Ride on lawn mowers take the effort out of cutting grass. If your lawn is the size of a tennis court or above, there is a ride on mower for you. There are a number of benefits to ride on lawn mowers. They are a great time saver and they are a good option if you find it difficult to use a push lawn mower. They give just as good a finish as a push lawn mower, but it is all done in a fraction of the time. Another benefit of ride on lawn mowers is that they not just used for cutting the grass. You can buy attachments so they can also be used for spreading fertiliser, laying grass seed, and even as a snow plough. Ride on lawn mowers turn a chore into fun and make the task of mowing the lawn easy! 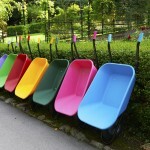 They can also produce stripes which neaten the overall look of your lawn. 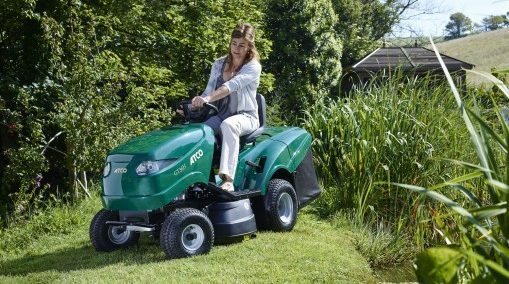 We stock a wide range of different ride on lawn mowers from Westwood, Husqvarna, Cub Cadet and Atco for domestic and professional use. 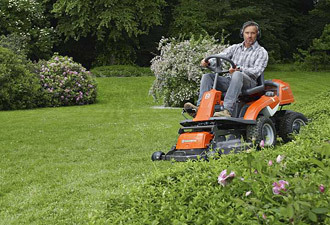 Husqvarna ride on lawn mowers benefit from a small turning radius to make it easier to get round trees, ponds, flower beds and other garden features. Atco have been manufacturing fine quality lawnmowers for the lawns of Great Britain since 1921 and have earned an enviable reputation for outstanding quality and performance. 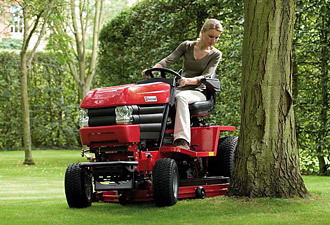 We can also order Stiga ride on mowers through our Framlingham branch.